Doors at 7, showtime at 8 pm. In the Musica nova Helsinki 2019 festival, UMO will be treating the audience to a robust set of Frank Zappa’s orchestral works in Ed Palermo’s arrangements. Comprising of Zappa’s instrumental classics, the concert menu will include such pieces as King Kong and Peaches en Regalia, plus three completely new Zappa renditions, written specifically for this concert, by young and aspiring Finnish arrangers Sampo Kasurinen, Artturi Rönkä and Ville Vannemaa. 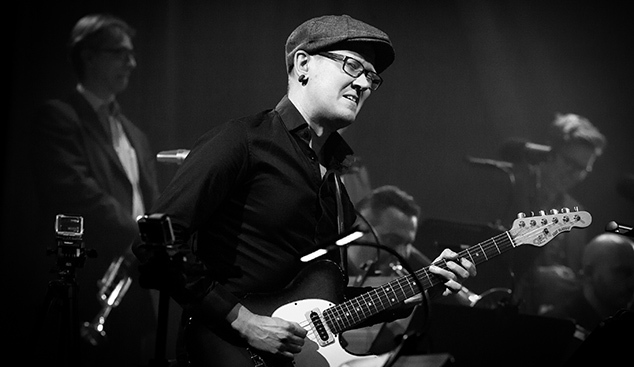 The G Livelab’s concert will be conducted by Valtteri Laurell Pöyhönen. Frank Zappa (1940–1993, USA) was a quirky pop music original, versatile and talented musician, composer, guitarist, vocalist, song-writer and band leader whose undeniable musical genius is manifested in his numerous albums, satirical writings and knack for orchestrating music for a wide variety of groups.